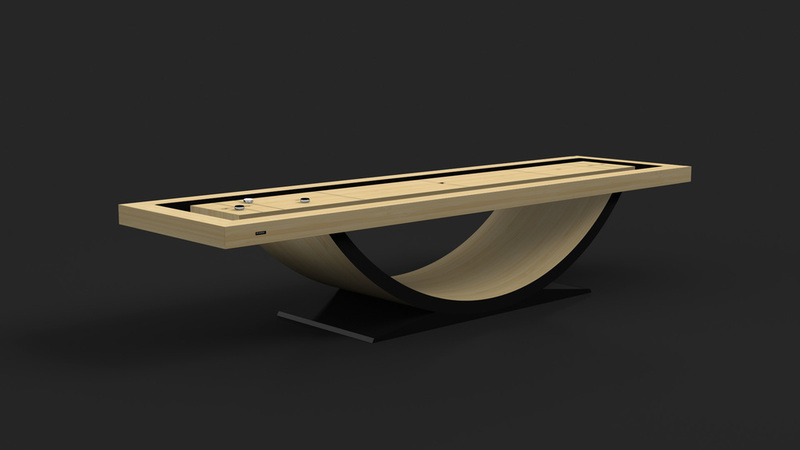 Founded in 2011 by a professional table tennis player and several dedicated advocates of the sport, 11 Ravens is the premier US-based design and manufacturing company for custom luxury billiards, table tennis, shuffleboard, foosball, air hockey, poker, blackjack, and mahjong tables. 11 Ravens' use of ultra sophisticated design as well as its unparalleled dedication to quality has placed it in a class of its own. Bernard Semerdjian, an internationally celebrated graphic designer, serves as the head of the Creative Design Department for 11 Ravens and is the primary designer for our innovative tables. Specializing in Interactive Digital Interface Design and 3D Imaging, Mr. Semerdjian has been a dedicated table tennis player for the past five years. His love of the game, coupled with his extraordinary gifts as a celebrated artist, has produced table tennis designs unlike anything ever seen before in this field. Mr. Semerdjian is one of the founding members of 11 Ravens. We take great pride in our unique ultra-modern and sophisticated designs and the extreme care that goes into the construction of our tables. Each element is carefully hand crafted, sanded, polished and fitted by our skilled artisans. *Please note that the various wood grains and other materials used in our production may vary slightly in appearance from images shown on our website due to the natural discrepancies found in each unique shipment of our construction materials. 11 Ravens game tables fall in the range of $14,000 - $34,000 and up. All 11 Ravens tables are hand crafted custom designs and accompanied with a Certificate of Authenticity signed by our designer and company president. Each individual order for an 11 Ravens game table requires a 50% non-refundable deposit to commence the production process. A final payment for the remaining 50% will be due upon completion and prior to delivery of the table. Shipping and installation costs are not included in the price list. 11 Ravens ships and installs in almost every country in the world. All custom-made tables to order generally take 12-16 weeks to complete from inception to fulfillment. Products, Prices, and Terms are respectfully subject to change without notice.